Five INTI International College Subang students beat out over 10,000 youths from all over the world to be amongst the top 500 who qualified for the Global Startup Youth (GSY) – a high-intensity, action-packed, challenging yet fun-filled boot camp – where they will stand a chance to meet US Secretary of State John Kerry. 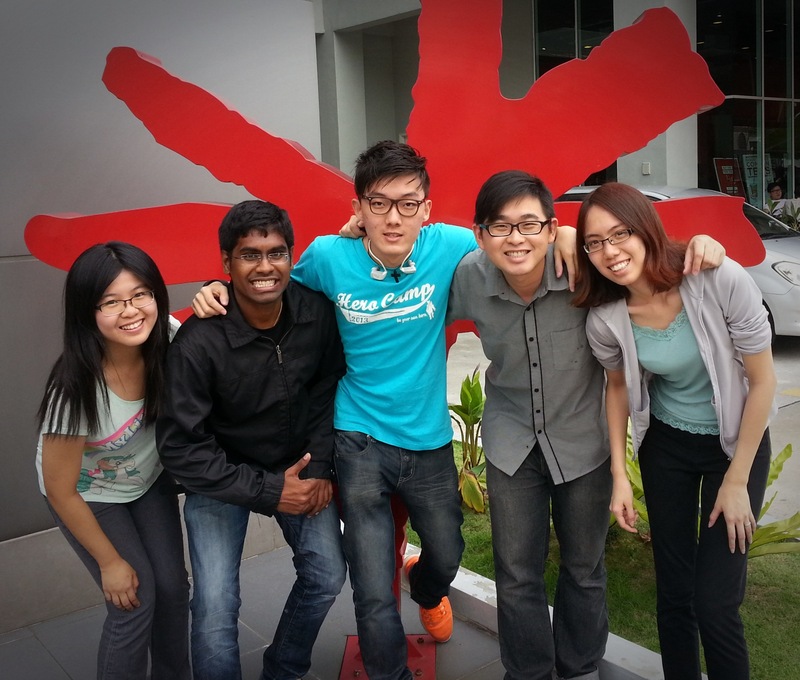 (from left) Gwen Yi, Ganesh, Austin, Der Hao and Daphane. Wong Gwen Yi, Kwong Der Hao, Austin Wong Weoi Xiang, Ganesh A/L Murrurti and Daphane Tan Huey Yii made the cut for the GSY, which is to be held from the 8th to 10th of October in Kuala Lumpur. The students attributed their success to the strong leadership they had developed and exhibited by participating in academic and extra-curricular activities at INTI International College Subang. First conceived by Dash Dhakshinamoorthy of StartupMalaysia.org, the GSY’s main goal is to accelerate the ideas of youths into ventures that are ready to be taken to the market and scaled. The event was made possible by the collective efforts of the Malaysian Ministry of Finance, the US State Department, Cradle Fund Sdn Bhd, Global Entrepreneurship Week, Startup Nations, YouNoodle Inc., and UPGlobal. The international exposure the GSY provides is significant. All the GSY delegates have direct access to the Global Entrepreneurship Summit, the brainchild of US President Barack Obama, on the 11th and 12th of October. INTI’s student representatives are especially excited about meeting like-minded young entrepreneurs and leaders, who Ganesh, 22, calls, “all the future Obamas”. For Der Hao, 20, it is all about ‘Going Global’. “I hope to gain a better perspective of world cultures through this conference,” he shares. INTI International College Subang provides many innovative learning platforms for young talents to go global. One of the most recent partnerships was with the Malaysian chapter of the Junior World Entrepreneurship Forum, of which Der Hao, Ganesh and Gwen Yi are student ambassadors. On the subject of financial intelligence, INTI also offers the opportunity to be a Bloomberg Ambassador – something Daphane, 20, is proud to be a part of. Ultimately, the hallmark of a great education is the individual development of its students. Out of the five selected students from INTI International College Subang, three already have start-ups of their own. Ganesh is working on a solar power initiative for urban development; whereas Gwen Yi and Austin are more involved in the youth scene, launching a youth empowerment network called Avenue and a talent-nurturing platform called ShoutOut respectively.